We’ve had many inquiries about our awesome black and white No Unwanted Pets t-shirts! 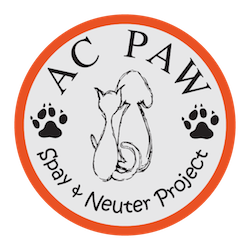 You can show your support for No Unwanted Pets and the importance of spaying and neutering by purchasing a t-shirt. T-shirts are just $10 and can be purchased at PetSmart during AC PAW’s adoption hours or at Tractor Supply during HANDDS to the Rescue’s adoption hours. You can also pick up a t-shirt at any of our fundraising events including SwingShift and the Stars! Our SwingShift and the Stars dancers love to sport their No Unwanted Pets shirts!